Wool fibers have been around since ancient times and are making a comeback, as people are becoming aware of problems associated with synthetic products. 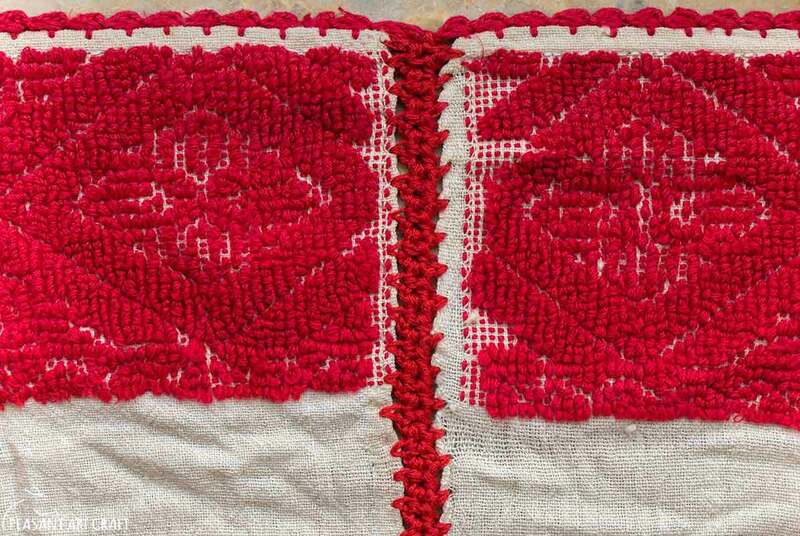 There are not only signs of revived interest, but also an increasing number of fiber artists already experimenting with the domestic methods of processing natural fibers. Those who have tried experimenting with natural fibers have quickly found themselves drawn deeper into the fiber art world, from spinning their own wool, to making their own roving. Many people are attracted to the idea of turning a raw fleece into a smooth pile ready to be spun. This process, known as carding, is done either manually or with the help of machines, such as this wool carding machine built in the 70’s. Of recent history, more often than not, this involved using hand carders; but before hand carding, the most ancient method was combing wool. It requires two wool combs. At first glance, wool combs may look like medieval instruments of torture that can hurt someone in the process, but watching them easily maneuvered by a pair of experienced hands proves it false. Practice helps, but it takes more than that. It takes a combination of talent and passion. For 19 years old Vladimir Andrei it was a calling. It means the world to him. 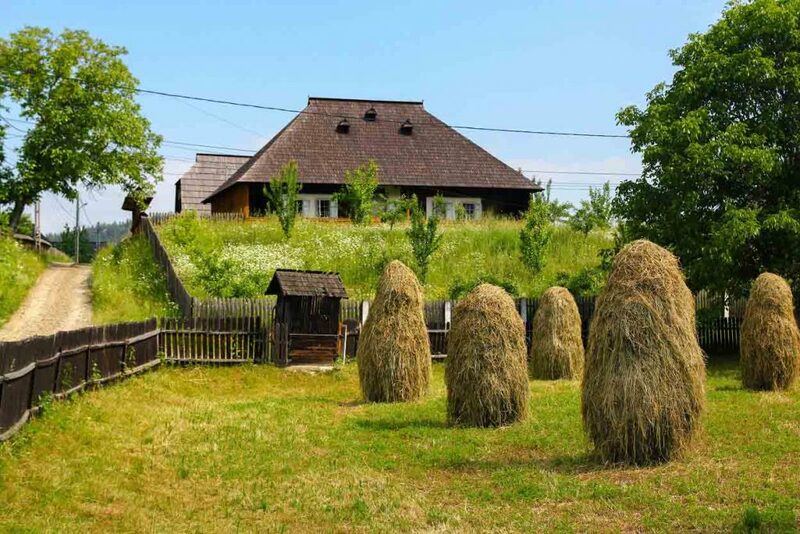 This summer we had been given the chance of watching him loom weaving, spinning hemp fiber and combing wool. He makes it look so easy, as if we all could do it. To begin with, he teases the wool by hand, pulling apart with quick movements, until the wool is fluffed. The seeds and bits of dirt are removed during this process. Water cleaning is not absolutely necessary unless the wool is very dirty, or dyes are intended to be used on wool afterwards. Once the wool is cleaned by teasing, it is ready for combing by use of two combs held in each hand. 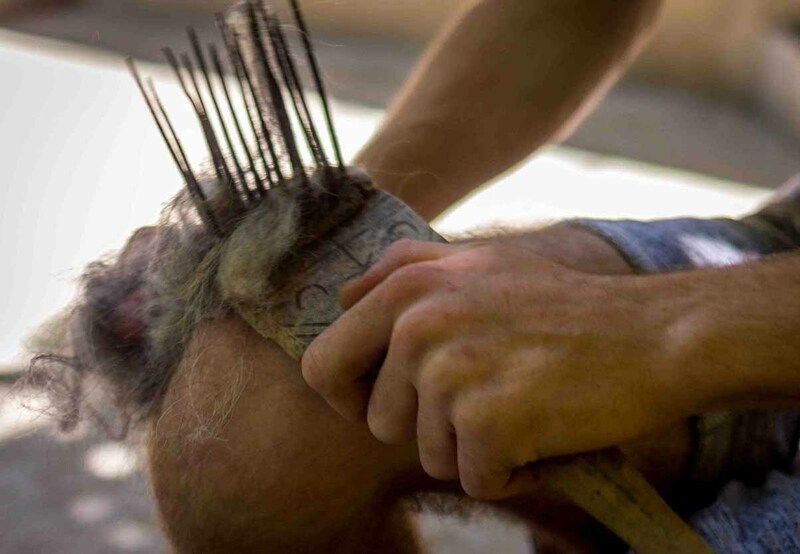 Small amounts of wool are lashed onto the the static comb and with the working comb he catches the tip of the wool charged on the static comb. Combing straightens the wool and gets out the trash and the short fibers. The combed top obtained is the best quality wool, from which you can spin a good traditional worsted yarn.